In 1965 I was the editor at the Macmillan company responsible for publishing one new hardcover mystery ever month. This was back in the days when any mystery published would automatically sell 4000 copies to libraries, so there was no way to lose money on this. 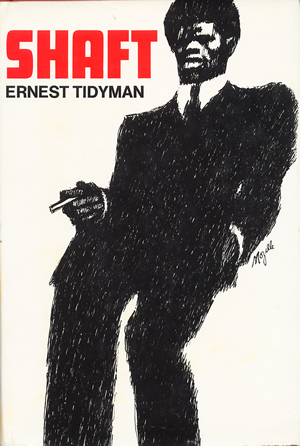 I got in touch with the only black literary agent I knew, Ron Hobbs, who put me in touch with one Earnest Tidyman, a journeyman author who happened to be white, but who seemed to understand what I wanted. Three months after we signed a contract, Tidyman turned in the draft of three opening chapters whose style was mild-mannered and genteel, and not at all what I wanted. Tidyman, a gentlemen and a pro, went back and got it right the next time. The result was the first Shaft book. Several others followed, plus a few famous films, directed by Gordon Parks, then a sequel film 30 years later, and still around today, an American icon.